A locality in Benjamin to which Phaltiel accompanied his wife Michal from Gallim, when she was being conducted to David at Hebron(II Sam. iii. 16). After David, in his flight from Absalom, had passed over Mt. Olivet, he came to Bahurim, where he was confronted by Shimei, who cursed him (II Sam. xvi. 5; compare xix. 17; I Kings ii. 8). Shortly afterward, Jonathan and Ahimaaz, of priestly descent, having been discovered in their place of concealment at En-rogel, betook themselves to Bahurim, where they hid themselves in a well (II Sam. xvii. 18). This town, which, according to Josephus ("Ant." vii. 9, § 7), was situated in the neighborhood of Jerusalem, existed at the time of Antoninus (ed. Gildemeister, p. 12). 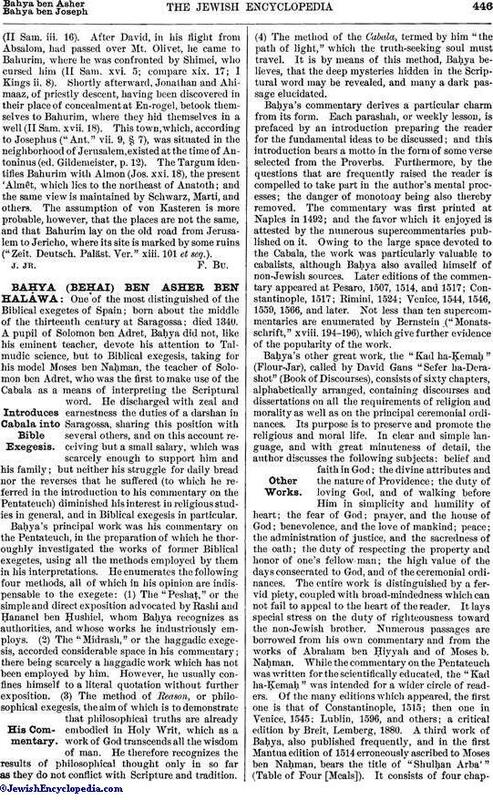 The Targum identifies Bahurim with Almon (Jos. xxi. 18), the present 'Almêt, which lies to the northeast of Anatoth; and the same view is maintained by Schwarz, Marti, and others. 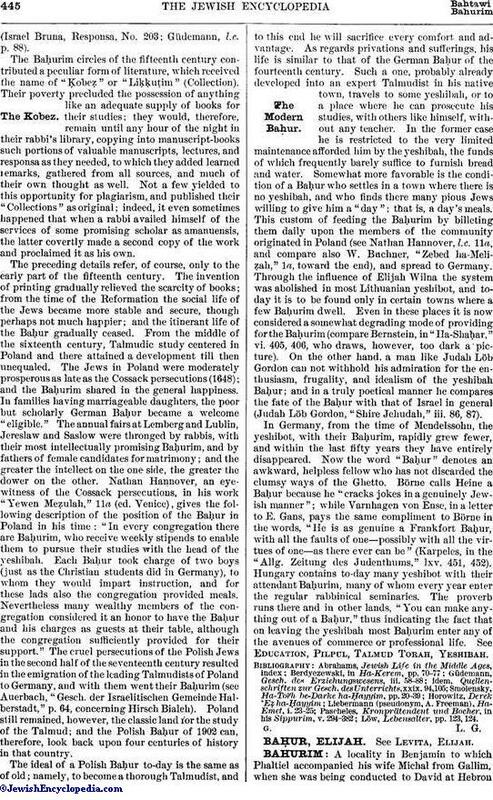 The assumption of von Kasteren is more probable, however, that the places are not the same, and that Bahurim lay on the old road from Jerusalem to Jericho, where its site is marked by some ruins ("Zeit. Deutsch. Paläst. Ver." xiii. 101 et seq. ).